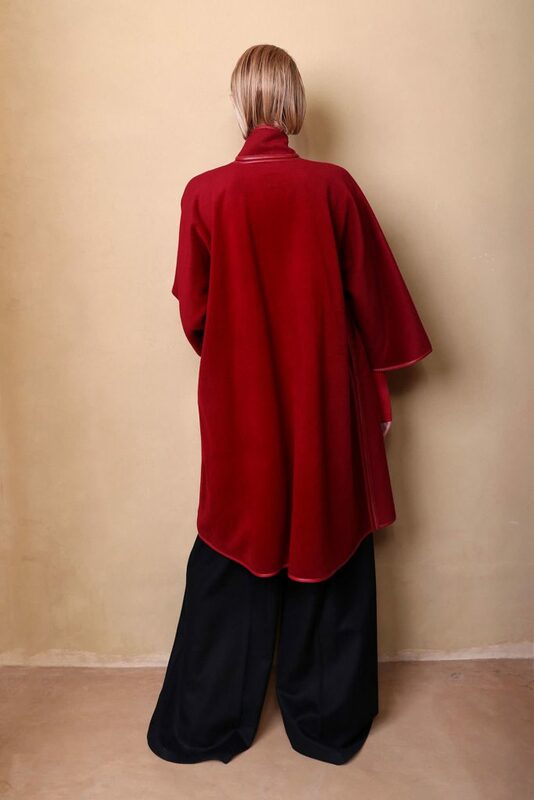 The MIDBAR #6 coat uniquely captures the Maskit cape-inspired aesthetic and was influenced by the original MIDBAR #1 coat. 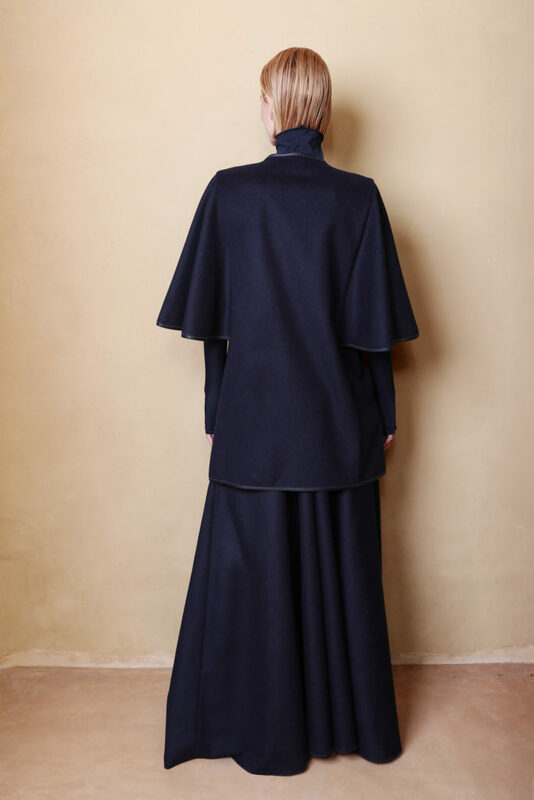 The shortened cape comes complete fluted three quarter length sleeves and a belt to create the perfect flare effect, helping to beautifully define the waist. Simple and chic with leather detail, the MIDBAR #6 is works as a transitional piece between seasons and is the perfect compliment to your weekday and weekend outfits.